Lacrosse is a test of endurance that requires a tireless grip. The product designers at TRUE Lacrosse give athletes peace of mind with gloves that make stick control a cinch. The TRUE Frequency 2.0 and Source gloves are both outfitted with reliable AX Suede Quattro palms. AX Suede Quattro features flexible four-way stretch and recovery for a secure, form-fitting shape. A wavy emboss pattern gives them additional dexterity, allowing for intuitive stick control. Combined with antimicrobial line and dual density foam, AX Suede Quattro helps the glove maintain breathability and maximize protection, so players can put their full focus on the game. 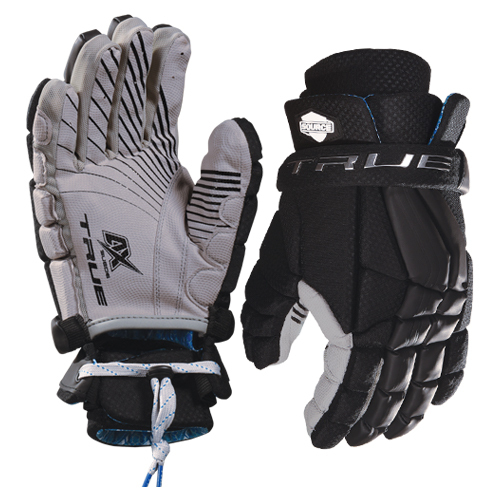 The TRUE Frequency and Source lacrosse gloves are available at TRUE’s website. Learn more about AX Material ranges for athletic applications.